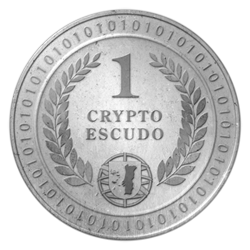 CryptoEscudo, as the name suggests, is a cryptocurrency planned by Portuguese citizens, developed upon first existing cryptocurrencies protocol - Bitcoin and Litecoin. It is a digital form of currency, created and used in a decentralized users network. It does not depend on any entity, because users themselves can be issuers of cryptocurrency. It is a users network, free of any central control, to which anyone can join and where each has access to all records of what happened in that same network. It is a process of great transparency, although none personal data is shared nor needed, in which the transactions are public and are registered in series, in a kind of "book of registers" known as blockchain. In short, it is a new form of digital currency that uses cryptography as a method of secure creation and data transmission that has the potential to profoundly alter the functioning of the financial system through a decentralized payment network. What advantages do I get for using CryptoEscudo? As a digital alternative, we all immediately gain, power of choice, freedom and power of action. CryptoEscudo aims to be a vehicle and a pretext for personal and collective participation and transformation - a community united by the idea that has the power to build the future. Generally speaking, we all benefit from the non existing maintenance fees or membership fees (because simply there is no membership at all) and residual, and almost inexisting transaction fees. Access, to use digital values, is fully democratized with CryptoEscudo - everyone can use the Portuguese digital currency. There is no restriction. For merchants using CryptoEscudo means savings without the need of an initial financial investment. Different kind of activities, specially the ones where micropayments are common, can benefit a lot from using CryptoEscudo. In fact, it can be the difference between being able to accept digital payments or not. Another considerable advantage is the non reversible nature of crypto payments. Once someone sends you CryptoEscudos, there is no return back. Only receiver can send them back. For the common user using a cryptocurrency like CryptoEscudo, means total freedom with his own wallet and his own digital values with near zero costs. It also means more security and privacy, as for using CryptoEscudo core wallet you do not need to share any personal or private information. However, and in contrast, CryptoEscudo allows a great transparency wich can be of major importance in some situations, like donations, and financial audit of public values. What disadvantage do I get for using CryptoEscudo? Freedom is deeply related with responsibility. 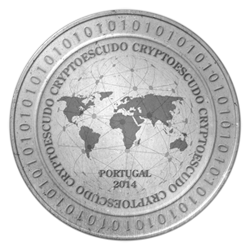 The Portuguese cryptocurrency operates in a decentralized model, this means you are the sole responsible for your own digital values safety. A conscious and responsible behavior is of major importance to keep your CryptpEscudo wallet and coins always safe. How is it possible to pay Portuguese national debt with CryptoEscudo? 220 000 000 CESCs reserved for that purpose, will be used, only and if, reached the pretended parity. If for some reason is settled the impossibility of reaching it, then the available value will be used instead. A long period will be needed in order to reach the 1000â‚¬/CESC value. We estimate a period of 5 to 25 years will be required to implement a solid base of usage along with a strong national and international market to support a sustainable valuation. It is a process that will depend on each and every one of us, in the adoption we want to make of this project, in its use and dissemination. The greater the acceptance and usage of CrytoEscudo cryptocurrency, by the national and international community, the greater the possibility of cryptocurrency appreciation. How can one control the usage of CryptoEscudos reserved for national debt payment? Part of the premined is reserved for this purpose and their related public addresses are shown and listed here on this website, so they may be directly consulted by anyone who wishes to do it. Each premined address has the direct link to its own blockchain register. To consult last blocks on CryptoEscudo blockchain you can click here. For a greater transparency over premined CryptoEscudo control, it is foreseen to extend their control to a reasonable number of other citizens in addition to CryptoEscudo original programmers. It is important that you understand that keeping your CryptoEscudo coins and wallets safe depends mainly on you. These are some simple but effective tips to keep them always secured. Encrypt your CryptoEscudo wallet but make sure you do NOT forget password. When you encrypt your CryptoEscudo wallet, you block its access to anyone who does not know your chosen password. This is extremely important as it avoid strangers to use your wallet to send funds. However it is also important to know that if you forget your password, you'll lose your CryptoEscudos forever. There is no way to recover them back. Even backups are encrypted when made from an encrypted wallet. Backup regularly and keep your backup copies on a safe place. It is advised to keep at least one backup out of your computer. Backup copies should be made regularly to make sure all your private keys are secured, including the most recent ones. Fact is your CryptoEscudo wallet automatically creates a new address (where it keeps the change, if any), every time you make a transaction. When you make a backup copy, you are making a copy of your private keys which ensures you the use and control of your CryptoEscudos. The file wallet.dat is the one you always have to keep safe. On your CryptoEscudo wallet choose "File"Â» "Save wallet" option from the menu and type the name of your backup. Copy the file to different places, like a pen for instance. You can also use a paper wallet. Backup copies restoring procedure differs according the system you are using. If you do not know exactly how to do it, please ask for some help at CryptoEscudo forum. Do NOT leave your CryptoEscudo values on exchanges or pools. Exchanges, pools, and any type of online wallets as well, are not banks and many have suffered attacks witch may lead to serious losses of theirs clients values. When you send someone your CryptoEscudos you are passing them their control. When you create an address on an exchange or pool, the correspondent private key is managed by that same exchange or pool, not you. Pools can sometimes close for lack of miners and mining activity. This may lead you to lose CryptoEscudos you may have stored in their address, unless you withdraw them to your own wallet at appropriate time. Always use last available version of CryptoEscudo core wallet. All versions contain some improvements or corrections for some details, even if this is not immediately visible to the user. Please confirm that you are using last available version on this website. What can I do with my CryptoEscudos? At this initial stage, not much, but imagination is the limit. See here where to use your CryptoEscudos. As the community becomes more and more familiar and alert to the potential of CryptoEscudo, business initiatives that accept CryptoEscudo payments will emerge. Some ideas for you: registration in various types of events such as workshops or seminars, online translation services, blogs, donations, membership fees, etc, etc. We are convinced that there will be no lack of original ideas for the practical application of CryptoEscudo. How to obtain more CryptoEscudos? Accepting CryptoEscudo payments is a great idea to increase your wallet balance. Mining is another way to get some more CryptoEscudos and, of course, you can also buy the Portuguese cryptocurrency on exchanges. Check our forum to see our current exchanges and pools. How can I support CryptoEscudo project? You can participate and do several positive actions to help CryptoEscudo achieve its purposes. Accepting CryptoEscudo payments is one of the best forms of support as we intend to have a strong and real usage. Contact us, or any other programmer with some cryptocurrency development experience, to help you add an automated payment system. Another important form of support consist of developing different kind of software applications useful for intended massification usage. You can help with translations, both improving them or correcting some errors. You can spread the word, talking about CryptoEscudo or writing about it. Join others at forum to share ideas or collaborate with someone else's idea. NOTE: If you would like to see any other questions answered here, please send us your suggestion by email, twitter or facebook.